When it comes to buying a ATV or Quad to trust with your life; WHO you buy from is just as important as WHAT you’re buying! Please CLICK HERE to understand why. At Joy Ride Motors our high-quality ATVs (also known as quads) are always for sale at the absolute lowest price possible – leaving you with money in your pocket and a whole lot of fun to be had out in the country! 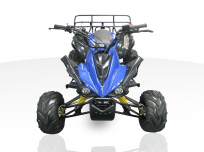 Our totally inexpensive (but not cheap) ATVs for sale range in size from 49cc engines all the way up to 400cc engines, and they come in a wide selection of colors. Whatever you’re looking for – we’re sure to have what you need! 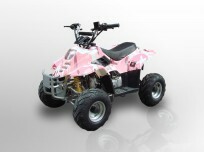 We know what you’re thinking, “how can I know if your ATVs and quads for sale really are the cheapest?” Great question! Joy Ride’s philosophy is that we are dedicated in supplying our customers with the highest quality off-road and on-road motorcycles, ATVs, scooters, quads, UTVs, trikes, dirt bikes, and go karts available in the market for the best overall deal out there! 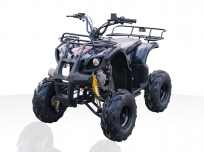 To help you see how low are prices are, we offer a price comparison on each ATV and quads’ product page. Just scroll to the bottom and you will see that specific ATV or quad’s price in comparison with that of other online retailers. 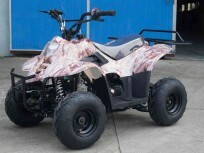 It’s super easy to see how inexpensive our ATVs and quads really are! 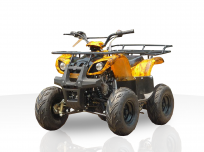 In the selection of ATV's below, you’ll find our most popular sellers from; BMS ATV & BMS ATV's, Roketa ATV & Roketa ATV's, Kandi ATV & Kandi ATV's and Ice Bear ATV & Ice Bear ATV's, which all have a proven track record for safety, quality and performance. We ‘cherry pick’ the very best models from all our vendors’ product lines, which come fully assembled, for the best price online. We offer free shipping and handling on all orders, so the price you see on our cheap quads and ATVs is the price you pay. 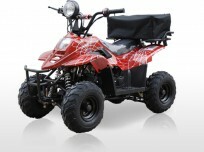 Unlike other online ATV retailers, there are no extra charges or hidden fees that you will have to pay upon checkout. 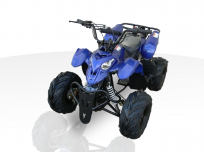 At the low, low prices we sell our ATVs and quads for, you can afford to buy one for every member of your family! 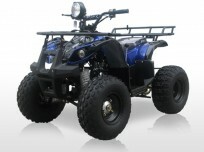 Help is only a call away to get set up with all the ATVs you need. Contact one of our friendly and knowledgeable staff members now toll-free at 877-300-8707 and let us know what it will take to get you on one of our fun, family-friendly ATVs or quads today! 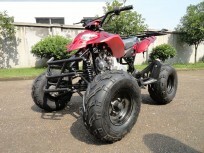 Joy Ride Motors' ATVs, Quads, and 4 Wheelers for sale at an amazing value that is inexpensive but not at all cheap!